In an animal model study, researchers found that rats given a THC-like substance in adolescence gave birth to offspring who were more predisposed to enjoy and abuse opiates than rats born to mothers that had not used THC-like drugs. 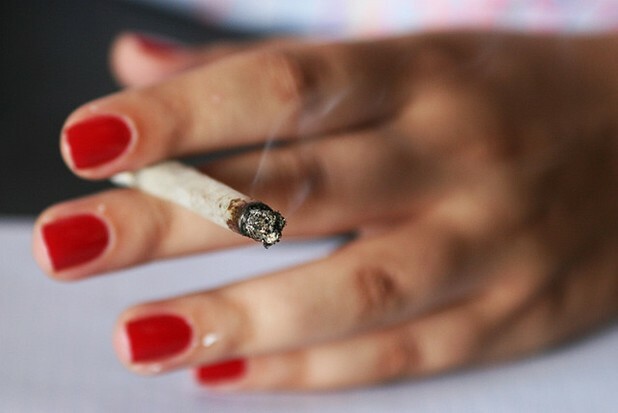 If our brains work at all like the rats in this study, and scientists suggest there are at least some comparable elements, then it turns out that the consequences of adolescent marijuana use go far beyond the teen years – in fact these consequences linger on into the next generation, increasing our offspring’s risk of opiate abuse and addiction. Researchers administered a group of adolescent female rats with the cannabinoid receptor agonist WIN-55, 212-2 – which is a drug that works very similarly to the THC found in marijuana. The male offspring of these mother rats were then grouped against a comparison group of rats born to mothers that had not been given the THC-like drug. All the rats were then given a choice to stay in chambers containing either saline or morphine solutions. The rats born to mothers given the THC-like drugs were far more likely to prefer spending time in the morphine chambers than the rats born to mothers not given the drugs. Researchers say that this place preference shows that rats born to THC-like drug using mothers have an increased predisposition to use and enjoy opiate drugs. Commenting on the significance of the results, lead study author Professor John J. Byrnes of The Cummings School of Veterinary Medicine noted, “Our main interest lies in determining whether substances commonly used during adolescence can induce behavioral and neurochemical changes that may then influence the development of future generations. We acknowledge that we are using rodent models, which may not fully translate to the human condition. Nevertheless, the results suggest that maternal drug use, even prior to pregnancy, can impact future offspring." The results of this study add credence to a study published in Behavioral Brain Research last year which demonstrated that adolescent rats given opiates gave birth to offspring that were also predisposed to use opiates.